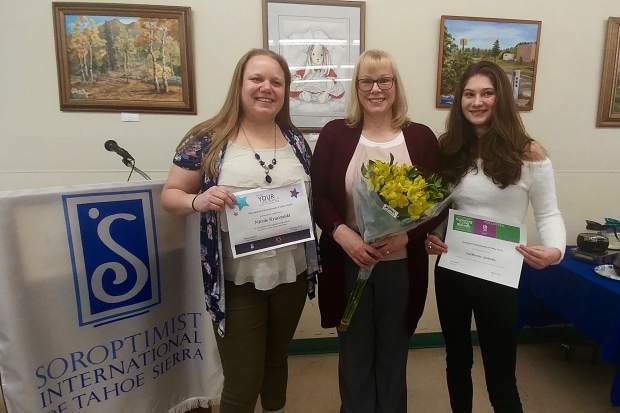 On Thursday, March 8, the Soroptimist International of Tahoe Sierra presented Nicole Kruczynski with the Live Your Dream Award, Jeanne Nelson with the Ruby Award, and Catherine Yohnka with the Violet Richardson Award. On Wednesday, March 7, The Soroptimist International of South Lake Tahoe presented Sarah Gonzales with the Violet Richardson Award, Dr. Kelly Shanahan with the Ruby Award, and Aubrie Shott with the Live Your Dream Award. The Soroptimist International of South Lake Tahoe presented Sarah Gonzales with the Violet Richardson Award, Dr. Kelly Shanahan with the Ruby Award, and Aubrie Shott with the Live Your Dream Award on Wednesday, March 7. 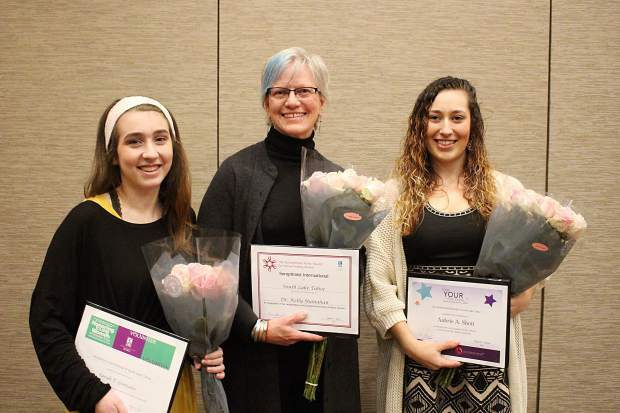 The Soroptimist International of Tahoe Sierra presented Nicole Kruczynski with the Live Your Dream Award, Jeanne Nelson with the Ruby Award, and Catherine Yohnka with the Violet Richardson Award on Thursday, March 8.